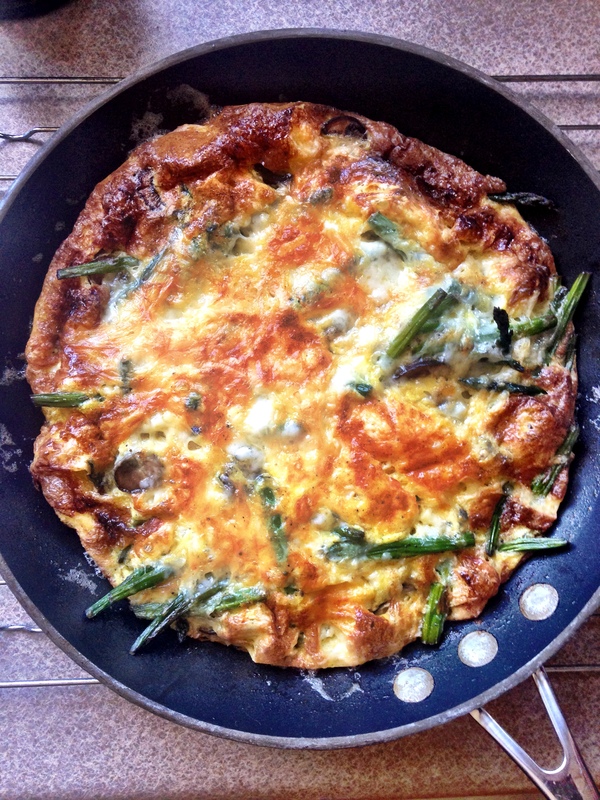 Mushroom and Asparagus Frittata with Gruyere – One Half Indian. My sister-in-law made the most beautiful brunch on Sunday. 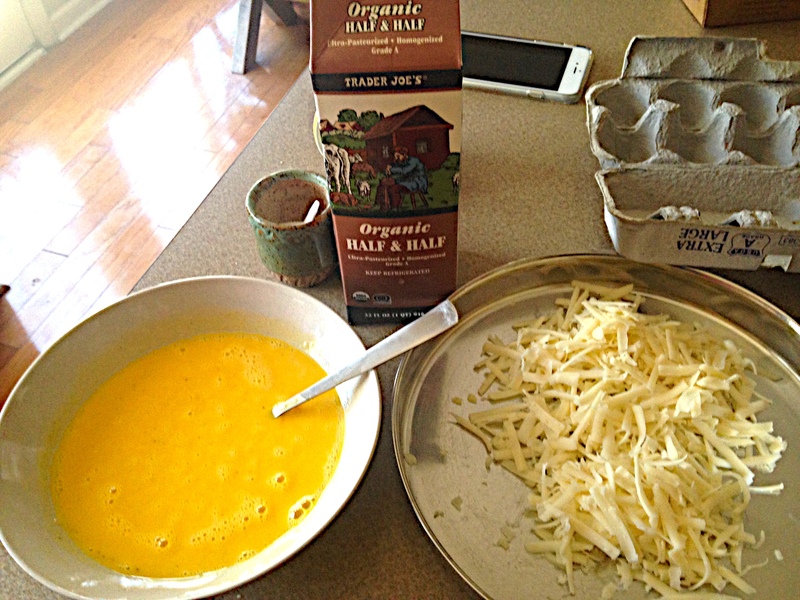 I wish I could take more credit for this recipe because it turned out so lovely, but I really only whipped the eggs and grated the cheese. The rest of the time I was hovering around taking photos and saying “oooh” and “awwwe.” We ate the frittata with a purple spinach and arugula salad and prosecco mimosas with fresh squeezed orange juice. It was simple and decadent. My mouth is watering just thinking about it. 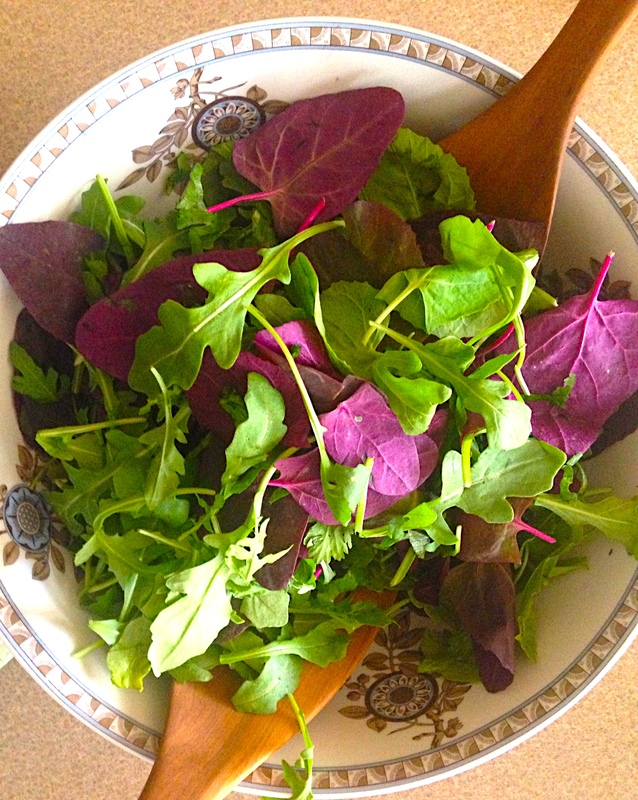 If you want to do the salad as well with the frittata, it was 1/2 a bag of purple spinach and 1/2 a bag of arugula mixed with chopped cilantro. We then just topped it with a bottled dressing. I don’t even remember what kind. Anything you have around would work. 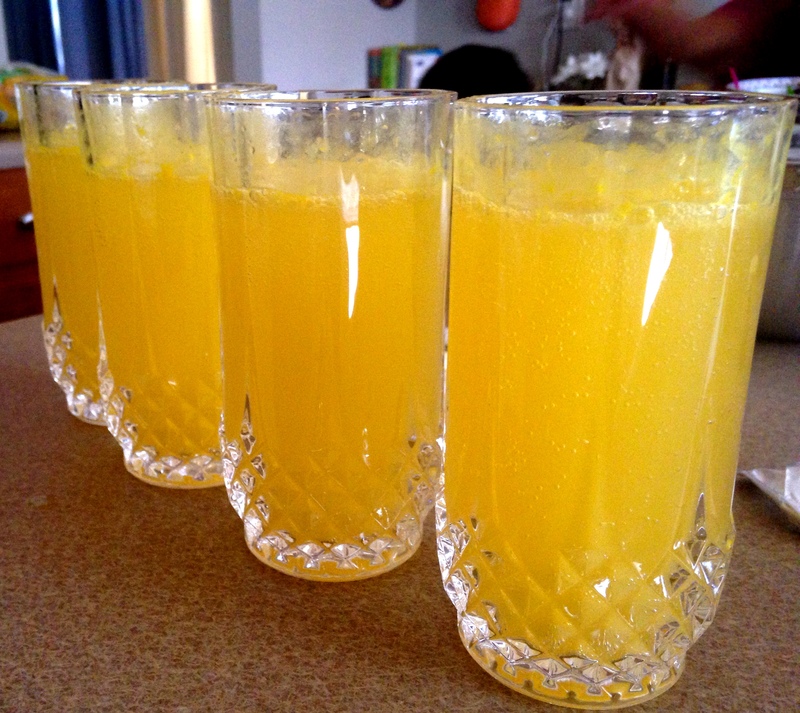 The mimosas were simply prosecco and a splash of fresh squeezed juice. My husband made them as I am far too lazy to squeeze oranges. When I make “fresh juice,” I put oranges in my juicer with the rind on. It’s only a little bitter. If you haven’t had prosecco before, I highly recommend it. My best friend from Italy got me hooked on it, and I have not looked back. Prosecco is a Italian dry, bubbly white wine. I find it less sweet and more appealing than champagne. Make this recipe. You won’t be sorry. 1. Sauté the mushrooms and asparagus in some butter (maybe 1/2-1 tbsp) on medium heat. Start with mushrooms on their own. After 3 minutes, add the chopped asparagus and salt and pepper to taste. 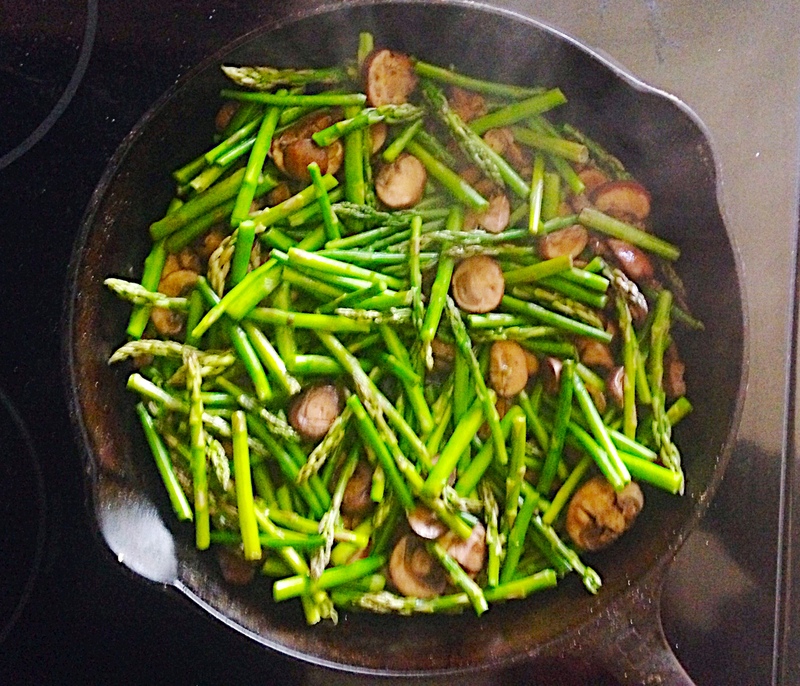 Continue sautéing until the vegetables are soft but the asparagus still has some crunch (about another 5 minutes). Remove pan from heat and set aside. 2. Preheat oven to broil setting. 3. 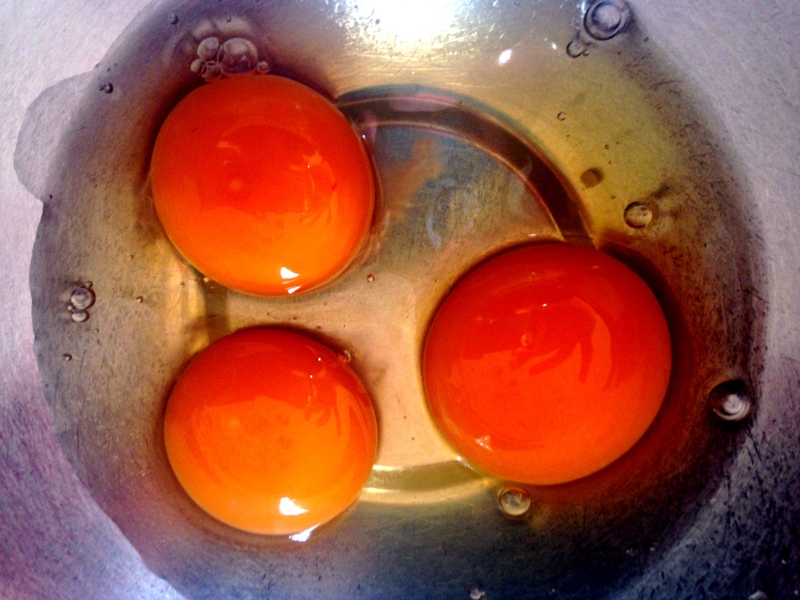 Whisk the eggs vigorously. You need to whip in as much air as possible. Whisk in half and half and some salt and pepper. 4. Heat an oven safe pan on medium heat. Melt about a tablespoon of butter in the pan and thoroughly coat the bottom and sides of the pan. 6. Top pan with remaining gruyere and some salt and pepper. 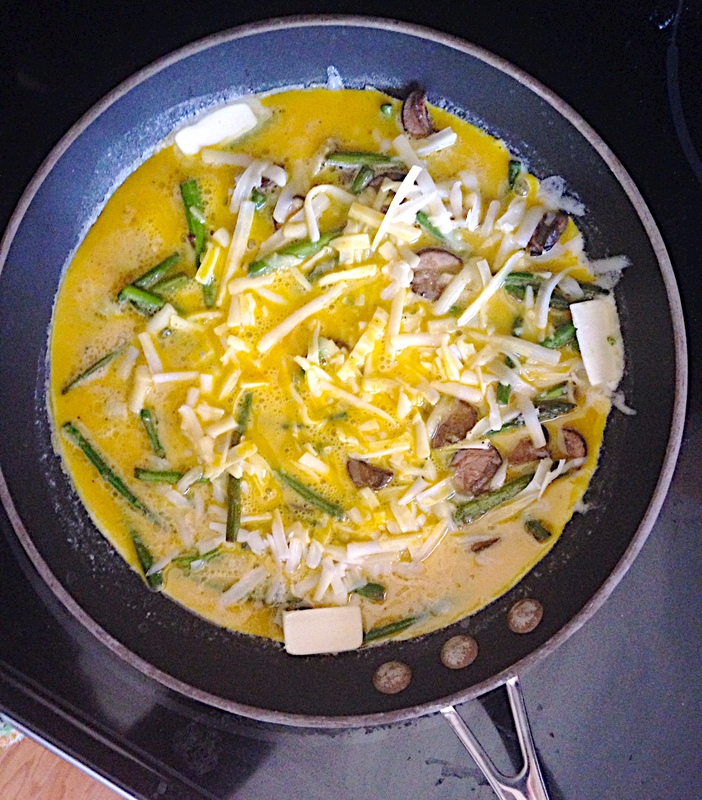 Put a few small pads of butter around the edge of the pan to help the frittata not stick (3 little pads is plenty). Place in oven on broil for about 4-5 minutes or until nice and brown on top. 7. Remove and let cool 5-10 minutes before serving.